Need do relax a bit this Memorial Day weekend? Tone down the stresses of life? Why not rest, relax, and watch these two videos by AwakenTheWorldFilm as they are calming, relaxing and tell the truth. The Pythagorian philosopher Plato hinted enigmatically that there was a golden key that unified all of the mysteries of the universe. 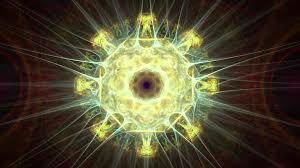 The golden key is the intelligence of the logos, the source of the primordial om. One could say that it is the mind of God. The source of this divine symmetry is the greatest mystery of our existence. Many of history’s monumental thinkers such as Pythagoras, Keppler, Leonardo da Vinci, Tesla and Einstein have come to the threshold the mystery. Every scientist who looks deeply into the universe and every mystic who looks deeply within the self, eventually comes face to face with the same thing: The Primordial Spiral.